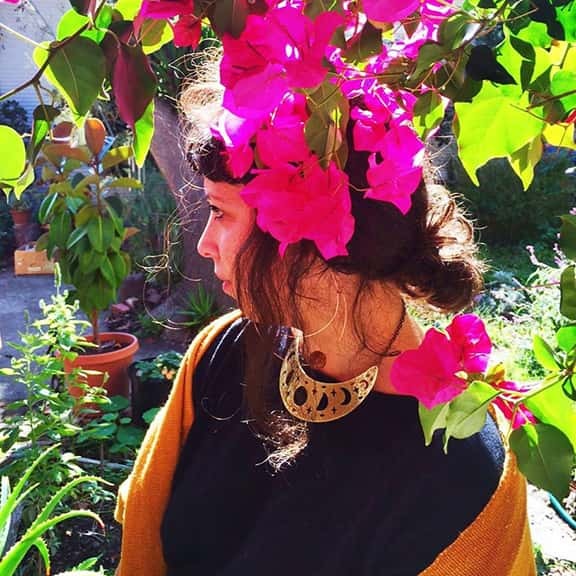 Liz Migliorelli is a western herbalist, magic maker and owner of Sister Spinster Apothecary, who believes in affordable, accessible, community-based health care and the healing power of plants. Liz is devoted to encouraging others to find empowerment through self-care and harm reduction, to find healing in a cup of fir tip and strawberry leaf tea, and to find magic in the simple practices that connect us to the Earth. She loves working with flower essences as energetic medicines. When making an essence she captures the potent energy and wisdom of a beautiful flower in its fullest bloom. The vibrational essences work in the realm of emotional and spiritual imbalances; allowing us to shift perpetual consciousness patterns and release old energies that are no longer serving us. She lives, works and teaches in Oakland, CA.